Making measurements using test probes. Turn the meter's dial to the proper voltage function (‍). Connect the black test lead to the COM terminal and the red test probe to the V terminal, indicated by ‍ on the Fluke 381. 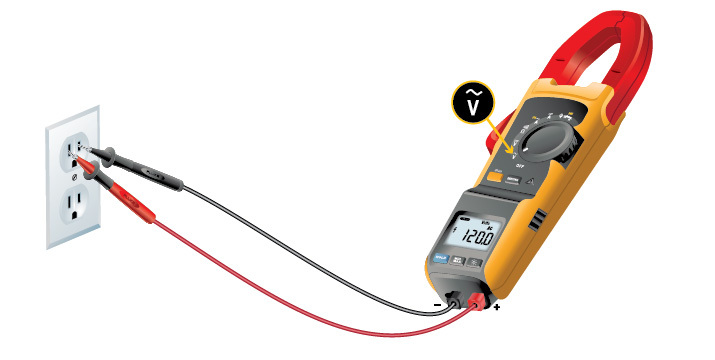 Measure the voltage by touching the probes to the desired test points of the circuit. View thereading in the display. Turn the dial to ‍. Remove power from the circuit being tested. The red test probe to ‍ terminal. 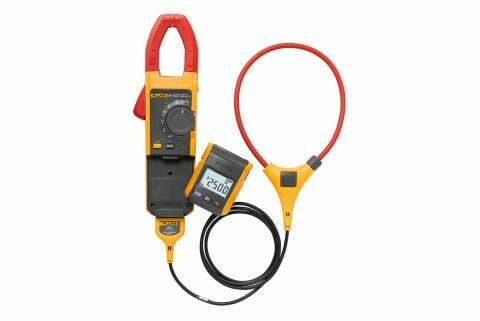 Measure the resistance by touching the probes to the desired test points of the circuit. View the reading on the display. 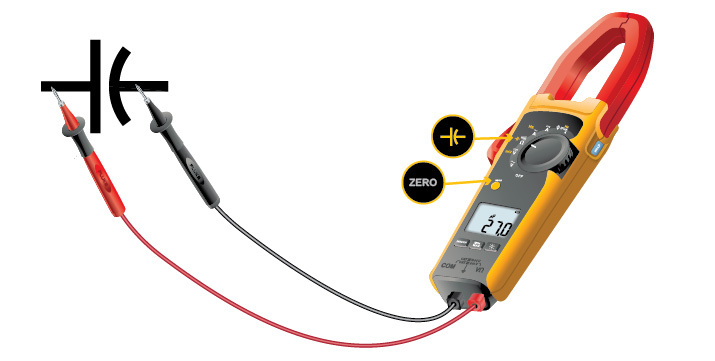 If the resistance is < 30 Ω, continuity is indicated by a beeper continuously sounding. 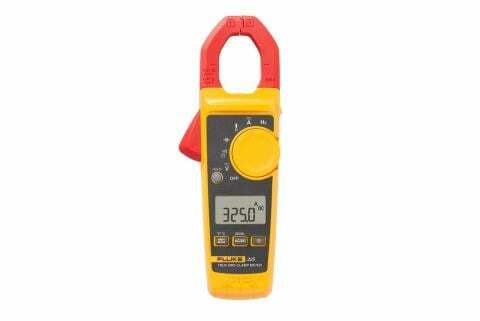 If the display reads OL, the circuit is open or the resistance being measured is greater than the meter's resistance range. Center the jaw or flexible probe around the measurement source. Push the yellow shift button ( ‍ on the Fluke 381) to shift to Hz. View the measurement in the display. Connect the black test probe to the COM terminal and the red test probe to the ‍ terminal.